September | 2010 | 50 Westerns From The 50s. Tony Curtis, who passed away yesterday at 85, was a Movie Star in every sense of the word. And when given a chance, he could really act. 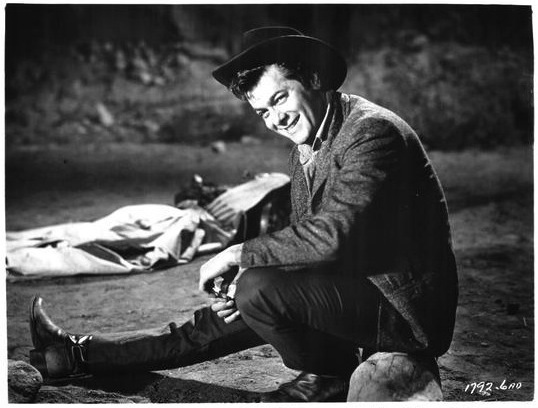 He’s seen here in The Rawhide Years (1955) — a Universal-International Western I hoped to talk to him about someday. (Isn’t that a great photo?) In Hollywood’s typical ghoulish fashion, we might see this, and a slew of his other pictures, pop up on DVD before long. Here’s his New York Times obituary. A previous post on this picture has some real insight from Tony on film acting. 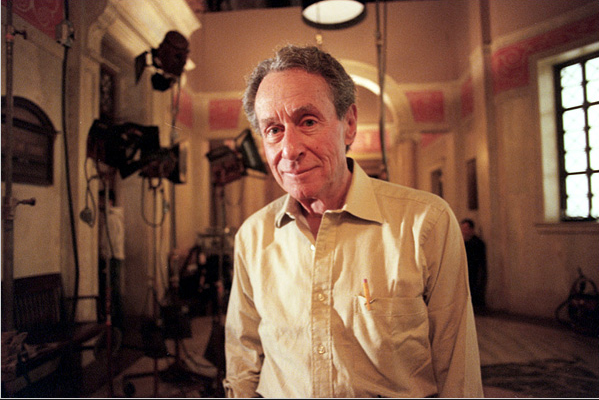 Director Arthur Penn has passed away at 88. An important director in the early days of TV, in features, he will forever be known as the guy that did (one of my all-time favorite films) Bonnie And Clyde (1967). His New York Times obituary is here. 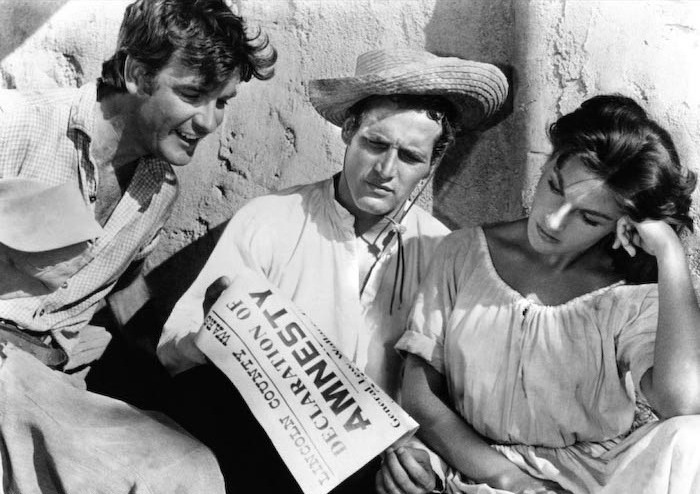 Western-wise, he also directed one of the most psychological of the psychological Westerns of the 50s, The Left Handed Gun (1958) — with Paul Newman Method-ing his way through the story of Billy The Kid, the “anti-Western” Little Big Man (1970, which I have to admit I never really cared for), and the whacked out The Missouri Breaks (1976). Here you’ll find a terrific interview from a couple years ago where Penn talks at length about making The Left Handed Gun. 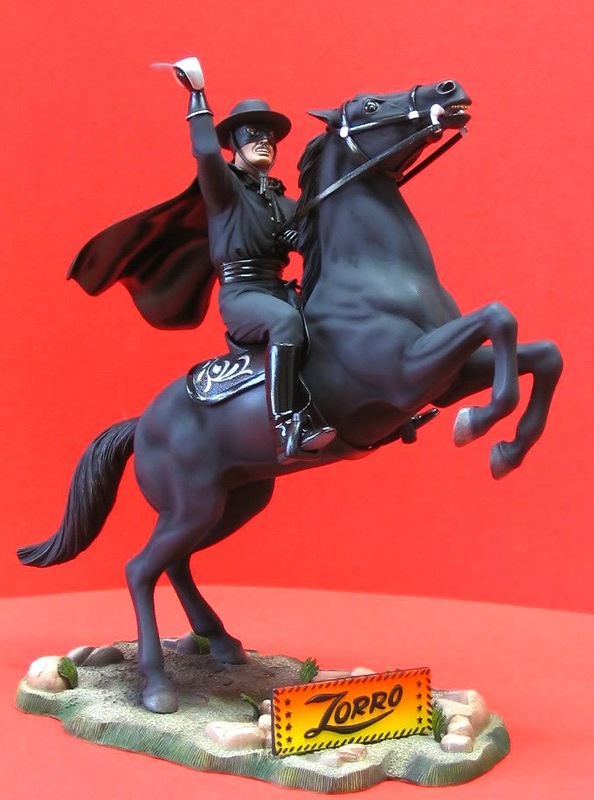 Atlantis is bringing back the Zorro kit from the old Aurora molds. Guy Williams starred in the Disney TV series, which ran on ABC 1957-59. You don’t see many production shots from the Ranown pictures, so I was really excited to come across this one. 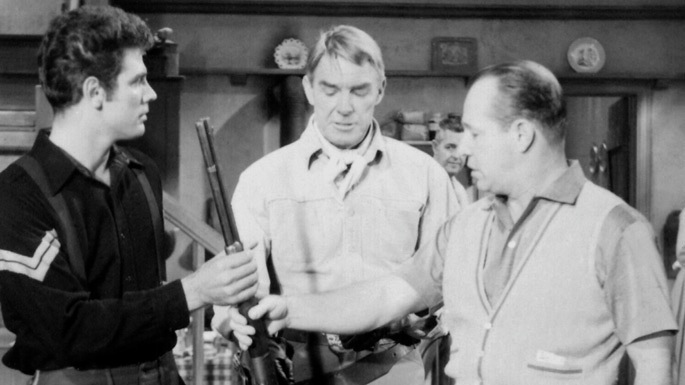 Here’s Michael Dante, Randolph Scott and Budd Boetticher working on Westbound (1959). Someone mentioned screenwriter Martin M. Goldsmith, and research lately has centered on writers, so I figured he was certainly worth putting up here. Goldsmith will always be known for writing a couple of the best examples of film noir — Detour (1945) and The Narrow Margin (1952). Margin‘s script was nominated for an Oscar. But his Westerns are quite good, too. 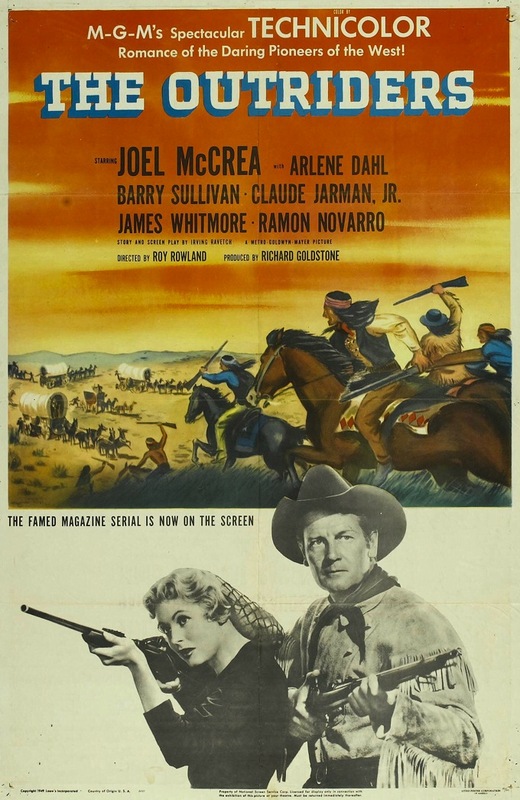 He brought a lot of Detour‘s fatalism to Fort Massacre (1958) with Joel McCrea — it’s a really good picture with a tough, dark turn from McCrea. You hear complaints about how light McCrea’s 50s Westerns were, but this one will never be accused of that. 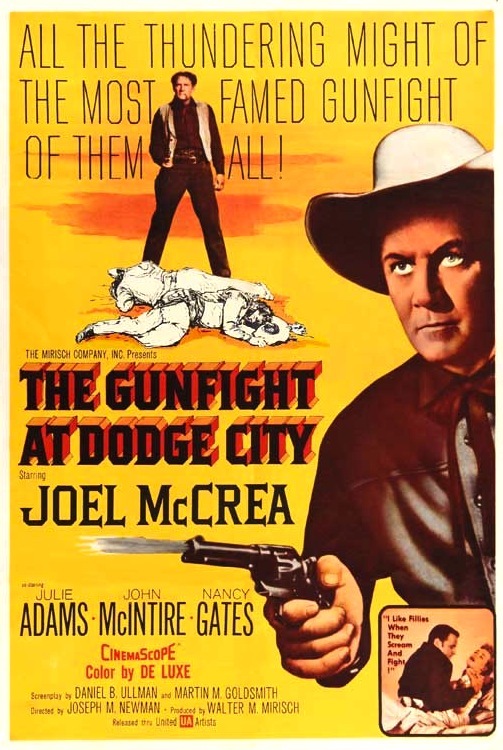 Others penned by Goldsmith were Overland Pacific (1954) with Jock Mahoney, Audie Murphy in Cast A Long Shadow (1959) and another McCrea picture, The Gunfight At Dodge City (1959). This time around, Joel’s Bat Masterson. Screenwriter Irving Ravetch has passed away at 89. 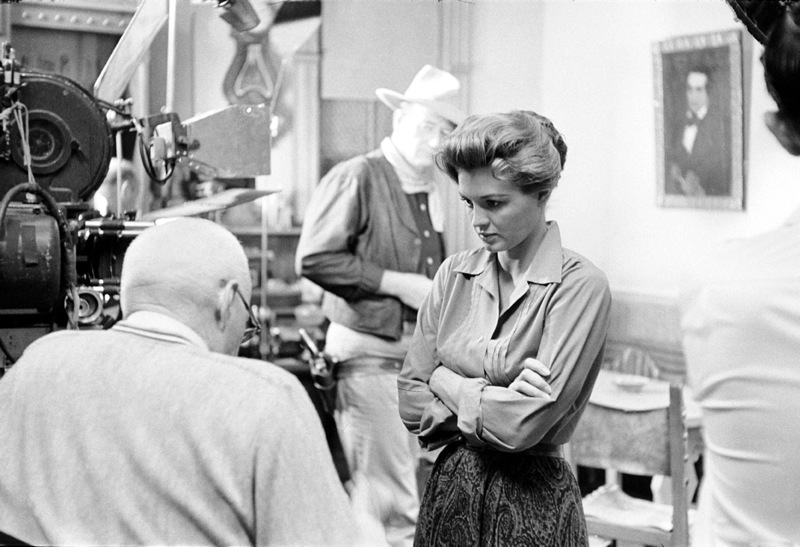 He wrote a number of excellent 50s Westerns: The Outriders (1950), Vengeance Valley (1951), The Lone Hand (1953) and Ten Wanted Men (1955). 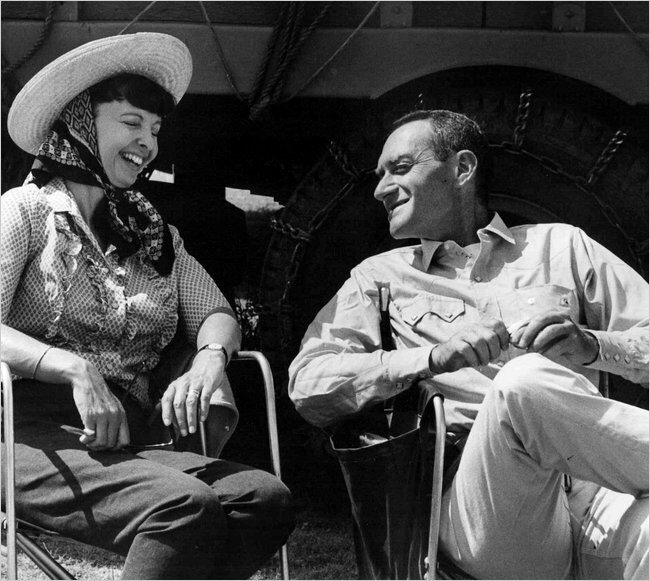 Ravetch later collaborated with his wife, Harriet Frank, Jr. (that’s them to the right) on screenplays for pictures such as Hud (1963), Hombre (1967), The Reivers (1969), The Cowboys (1972) and The Spikes Gang (1974). The happy couple received Oscar nominations for Hud and Norma Rae (1979).